For most golfers, the pro shop is the adult equivalent of a candy store. Like you and me, they love to look and tinker with new equipment, and often end up buying whether they actually planned to purchase or not. Golfers are genuinely fascinated by their sport, and it shows. Part of the attraction is the ever-growing range of equipment on the market. I can’t think of any other sport that requires as many tools as ours. There are different clubs for all the shots on the course and for all players, from the novice to the professional. Golfing tools and toys account for a multi-billion-dollar business every year, and it continues to grow in volume and in variety. Playing equipment has become so specialized that most golfers have only a superficial knowledge of club designs. Even the advertisement of club manufacturers today is far too technical to be understood by the majority of players. They buy a particular club because Nick Faldo or another superstar plays it, or because their foursome-partner outdrives them with his new wood, but they don’t consider that Faldo is in a different league altogether and that their playing partner is separated from them by handicap, build and golf swing. Very few people know what works best for them. Golfers are as diverse as the equipment designed for them, and that is why there is no such thing as the best set of clubs in the world. 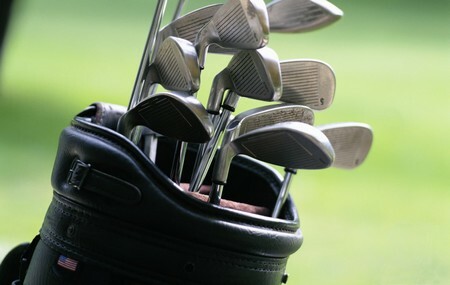 There are plenty of good clubs around, and quite a few not so good ones as well, but they are all designed for specific tasks and specific players, and they are good or bad only in relation to this task. A club that is good for me is not necessarily good for you. Before a club is created on the drawing board, the clubmaker is given the requirements and specifications for a particular piece of equipment. A club is always designed for somebody, never anybody. In practice, this means that a particular set of clubs is tailored for very low handicappers for instance, or for high handicappers for that matter. You need to find the one that is made for you. You will find out if your current clubs are made for you or if you would be well advised to go and visit the pro shop. What you and I don’t know is if your new clubs will help you play better golf. If you don’t take them to the practice range or if your swing is faulty, you can’t expect them to bail you out. Amateurs try very hard to find the one club and the one ball that allows them to gain more distance. Now, golf is already the one sport in which the ball is propelled farther than in any other. And the Rules of Golf wisely limit the flight of golf balls so that our courses are not becoming obsolete. Mind you, these distances are just broad guidelines. You will have to consider the conditions you are playing in. You can easily subtract ten yards each for wind, fog, cold weather and an elevated green. You will easily gain, with or without new clubs, about ten yards each in dry climates, high altitudes and warm weather. If you want to go one step further, many pro shops now offer facilities to measure your clubhead speed, ball speed, the trajectory of your ball and the backspin you generate. This may be a sobering experience, but I think getting to know one’s golfing self is a good start towards a better game. Clubhead speeds range from 70 mph for ladies to 90 mph for an average male golfer and 110 mph for a professional. Considering that a swing arc is roughly thirty feet long, it is not surprising that most players don’t find the sweet spot at impact as often as they wish. But it is the combination of both the clubhead speed and the angle at which the clubface meets the ball that decides how fast and how far the ball travels. The initial velocity of the ball generated with a driver can vary between 90 mph and 150 mph. These numbers may help you to put your swing style into perspective, if you are not very sure about your abilities. The person who should be able to answer your questions is the professional. He or she should also be your first consultant when shopping for equipment. Your coach will be in the best position to give you a second opinion on your swing, and he has all the gadgets to fiddle with your clubs and to test new equipment. I would like to see you play to the best of your abilities. And while new equipment may not cure your slice if your swing is at fault, it just may if your clubs did not fit your swing. 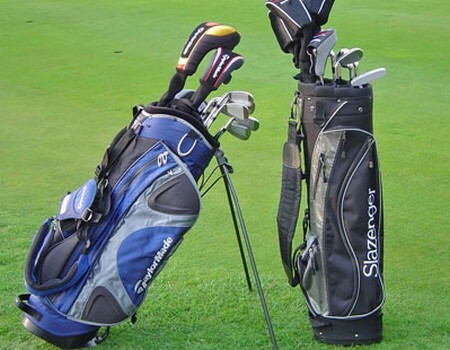 Whatever your handicap, you need equipment that suits your skills to work towards a better game.